Our 14 inch 551 rims by Vision are a cool new style they just released that feature interchangeable colored rings so you can match your rims up with your machine. This rim automatically comes with Red rings out of the box. If you want black, blue, green or yellow rings you have to buy them separately. This is NOT a beadlock rim but it has rings that make it look just like a beadlock. 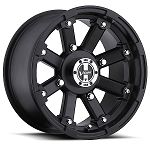 Get a set of Vision rims today for your ATV or Side by Side and you'll be sure to stand out from the crowd! - Red ring is included with all rims automatically, Black, Blue, Green & Yellow are available but you have to purchase them separately. 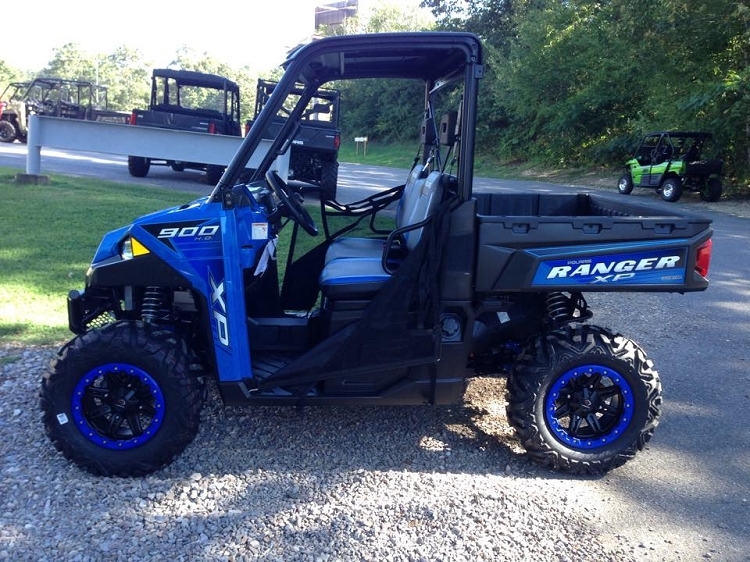 Great Wheels, use standard lug nuts so not having a speacialty tool on the trail is nice. Great customer service and fast shipping. Customer service was great. They texted me day after order was placed just to verify I was ordering the correct rims and what type of lug nuts I wanted. Received my rims 3 days after that! Will definatley be doing more business with these guys! Q: Where on the site do I find the other colored rings? A: Sorry for the confusion, the option to buy the colored rings is on there now. Q: How much do these wheels weigh? A: Which size are you needing the weigh on? 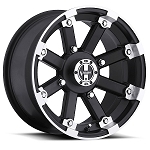 These are offered in 14x7, 14x8 or 14x10. Q: Dear, sir or ma'am, I was wondering what is the offset for both the 14x7 and 14x8. While research for the specs I have found that Vision is using 2 different methods to advertise what the offset is. I was wondering if it would be possible to get the offset in the #+# offset style. If you have any questions feel free to ask. Thanks for your time? A: The 14x7 have a 4+3 offset, the 14x8 have a 4+4 offset. Q: Is the 14x7 wheel (with red ring) available in a 4/3 offset? Q: Can I get this wheel in 14x8 4/115 bolt pattern ? 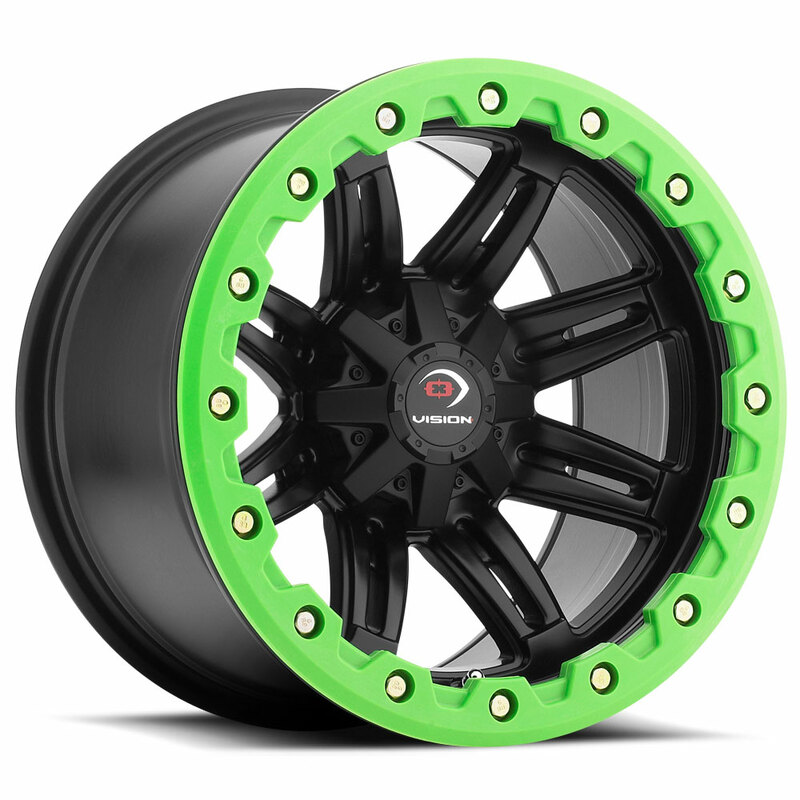 A: No, this wheel is only offered in 14x7 and 14x10 for the 4/115 bolt pattern. Q: How Can I just buy a set of rings ? A: Yes we can sell you just the rings. Give us a call.